When the weather starts getting warm out, I get so excited to wear my spring and summer shoes! They are so much more fun then my winter pairs. 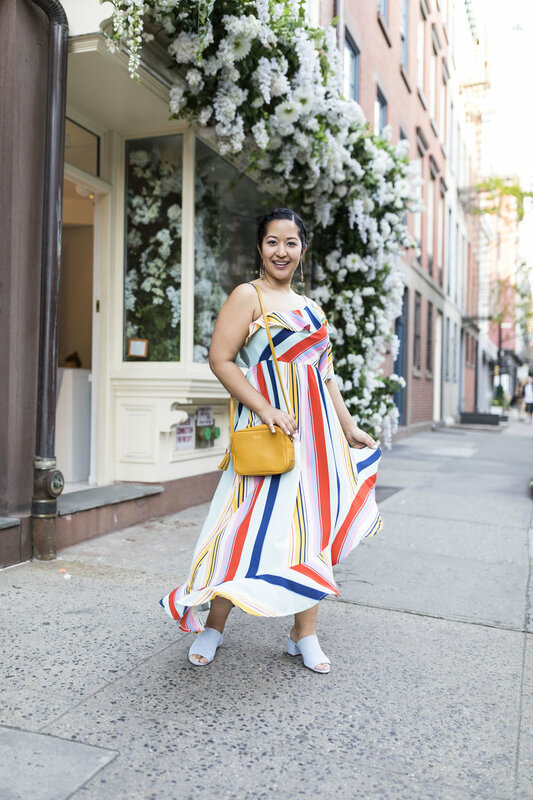 This spring/ summer there are a few must-have styles that I think every woman needs to try out. Some are trend driven while others are everyday essentials. Plus, I've linked some of my favorites at a great price for you to easily shop below. White shoes/ booties are the "it" shoes for spring/ summer! They look clean, cool, and are a great option to wear instead of the traditional black. Don't worry about getting white shoes dirty either because there are simple ways to clean them. Take an old toothbrush and some baking soda then rub them down. Rinse and repeat and your shoes will be sparkly white again. Try untraditional materials like patent leather that up the 'cool' factor. Shoe styles like kitten heels, sling backs, pointy pumps, block heel, mules, and booties are all great options for white shoe styles. Shop some of my favorites below! Denim fabrics go way beyond clothing these days. I love denim accessories like shoes and bags. These peep toe booties are a great example of denim shoes because they are a light color denim, which make them more spring forward. Look for special details when looking for denim shoes like tassels, frayed edges, hardware, and heel shape. Denim is a staple in the U.S. culture and goes well with everything so you don't have to worry about mis-matching. Shop these exact pair HERE! Mules are still going strong so grab another pair this spring or even your first! Trust me, I lived in my mules last summer. I recommend investing in a pair that are 1-3 inch block heel. The block heel style makes it much easier to walk in all day and keeps your balance. I also love mules that are embellished! Whether it’s pearls, crystals, or a broach spice it up. Another alternative are getting a pair with a fun fabric. Today, mules come is satin, linen, patent leather, and suede. Shop some of my favorites below! Fashion always repeats itself and platforms are back and here to stay for a while. Surprisingly, platforms are also easy to walk in. They provide the foot an extra cushion of support. They also give you height (which I have no problem with haha). Platforms are great flat shoes as well as fancy party heels. 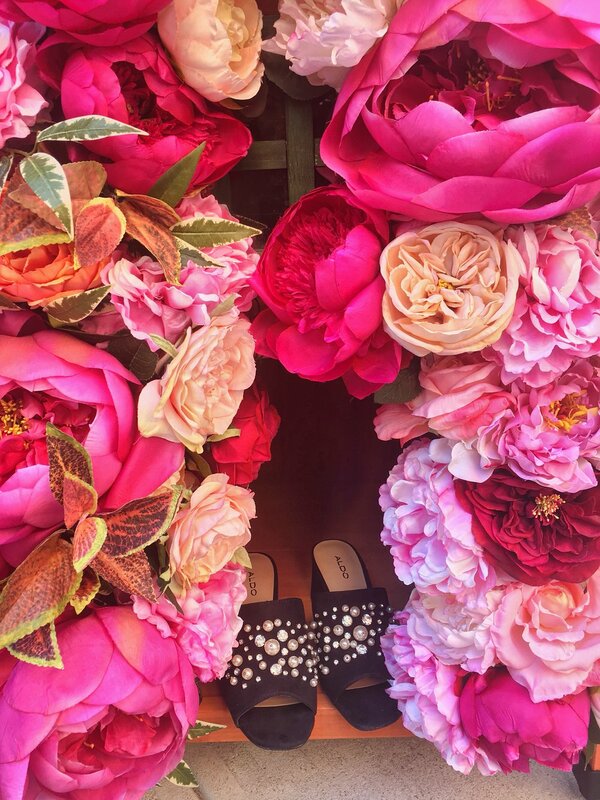 Espadrilles are a summer classic! Perfect for vacations, the beach, or just a weekend walk. The natural earthy looks gives an instant summer feel. Plus they are comfortable and let your feet breathe. 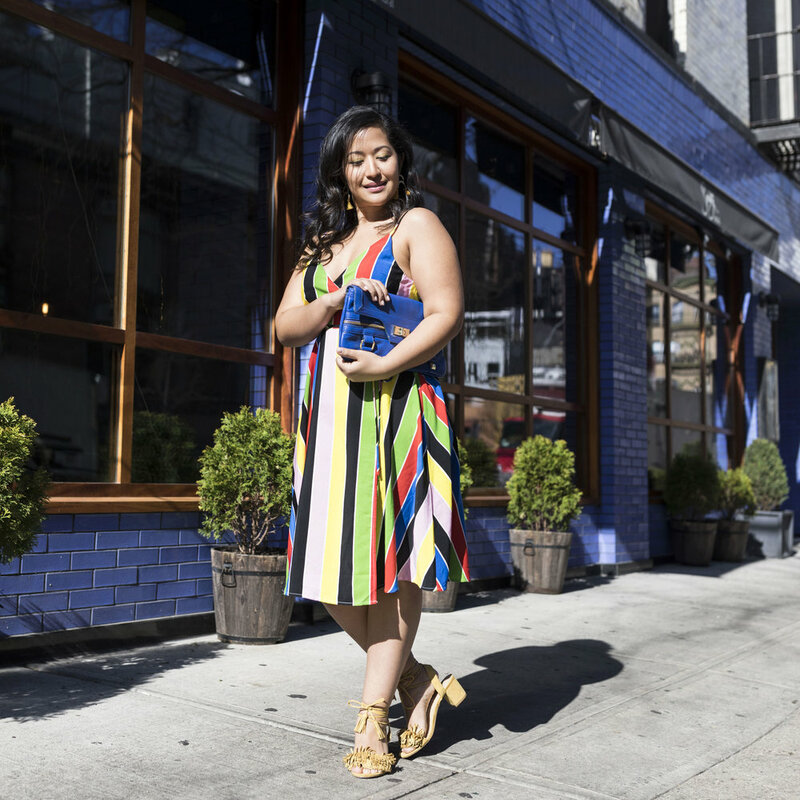 Summer means bright colors, bold stripes, and easy going silhouettes. 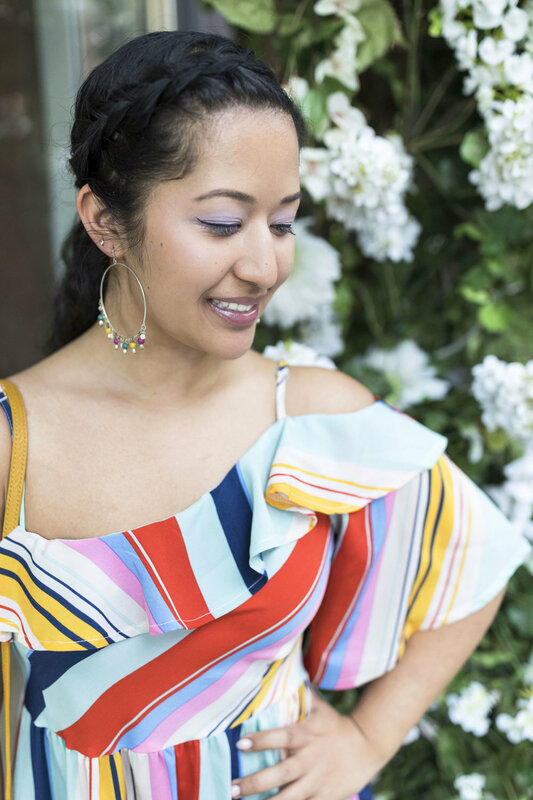 The summer months are the best times to wear fun prints. Stripes have been a personal favorite of mine for years plus they never go out of style. Whether the stripes are are wide or skinny, colorful or monochromatic, stripes work on every age and any body type. 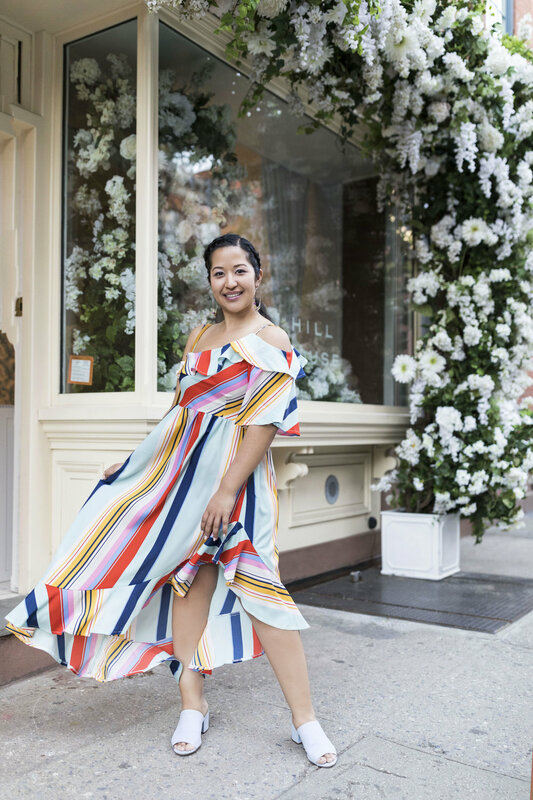 Stripe dresses are a great option for a summer wedding, girls day out, or for a fun vacation look. 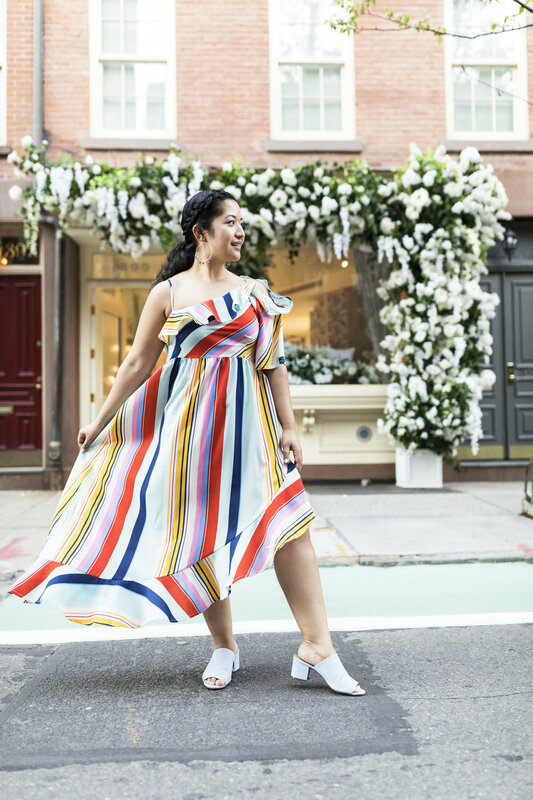 Look for dresses that play with the direction of stripes. The more play with directions, vertical, diagonal, horizontal, the more interesting a dress will look. I love the addition of ruffles and flounces that also add a unique touch to the fashion piece. 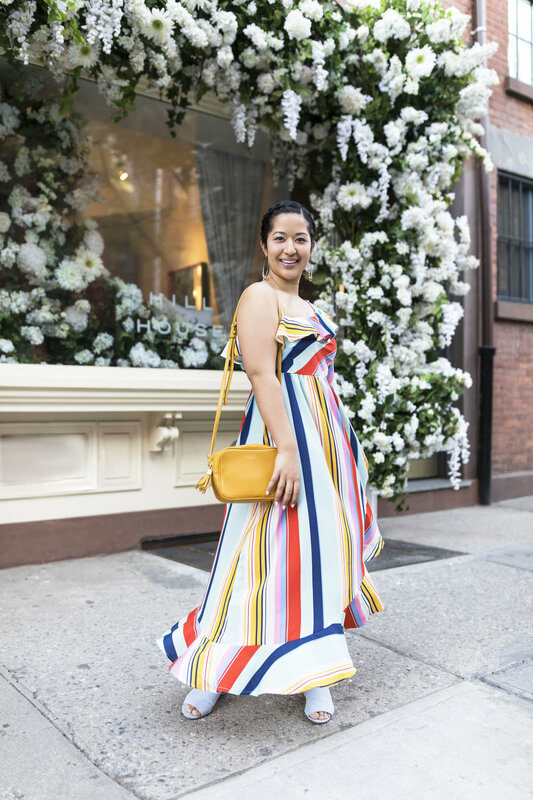 Try adding some color into your wardrobe through stripes too! 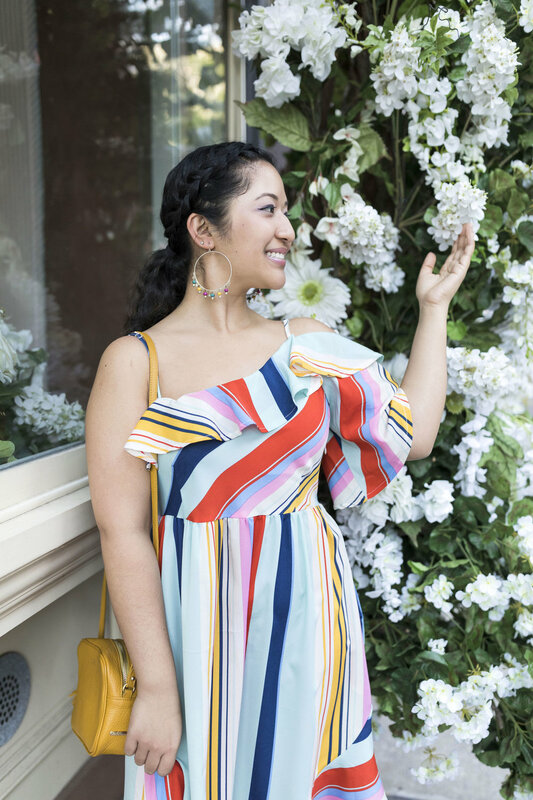 Shop some of my favorite stripe pieces from tops, bottoms, and dress all on a budget! One item that women need no matter what are handbags! I never leave the house without a handbag. I am also constantly changing my bags around by season and outfit. Whether it's a classic style or something more trendy, these are this seasons hottest styles. Get your hands on these Spring/ Summer hot handbags! I have picked out a few styles that are worth trying out this season- from circle shapes to metal details. There is a style out there for you. Shop some of my favorites on a budget below! It’s the shape of the season! If there’s one trend you want to hit, it’s definitely this! No matter what color, fabric, or size - circles are the new shape. I’m loving this new Brahmin ‘Lane’ cross body bag! First, I love the color. White is a color that goes well with everything! Seriously, everything. Another reason this bag is perfect for spring/ summer is the faux crocodile skin texture. It’s leather and textured so you don’t have to worry about getting this baby dirty. Third, the size is perfect and holds all the necessary essentials. I can even fit a pair of flats if I really need to! Shop this exact Brahmin bag here! If you’re on the run, never feel like you have enough hands, or are looking for something versatile, this is the bag for you! The easy going everyday essential. 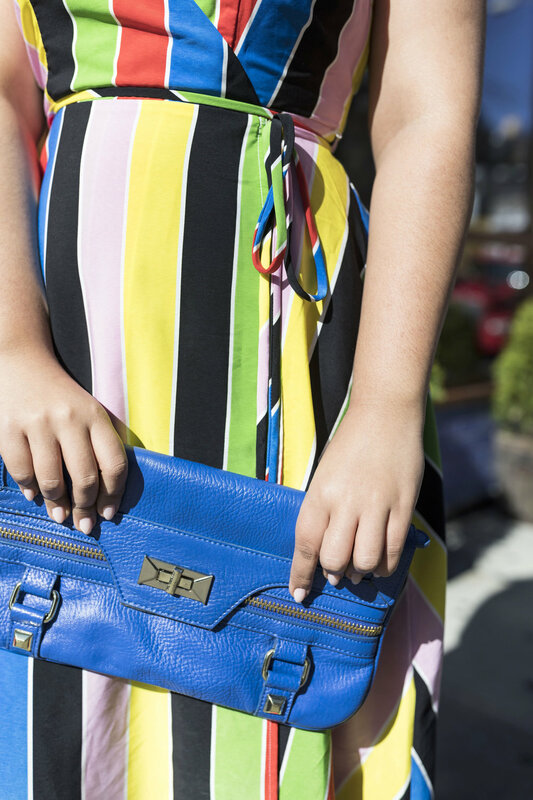 I’ve raved about all the reasons belt bags are amazing here but no joke, they are amazing! This Kamilah Willacy one in particular is amazing because it can also be turned into a clutch or a shoulder bag! Three styles in one! How cool is that right?! I’m all about versatility! You can go from running errands all day to date night in a matter of seconds with this bag. Plus this bold colorful print is perfect for Spring/ Summer! The colors are so happy and go well with anything from black to other festive summer colors or patterns. The hardware touch is also really cool and it makes it super easy to open and close the bag. This one is a no brainer and it is always in style. 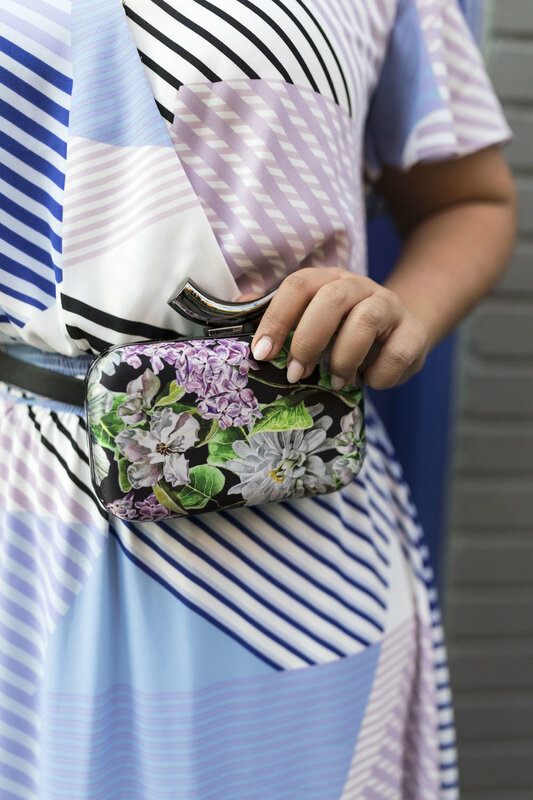 A clutch is a must no matter what season it is. However, this summer, try a bold color! Maybe a bright pink, royal blue, yellow, or red. An addition of a colored accessory can complete change a look! Use a clutch to brighten up a look- it's the easiest way to do so. I love clutches of all sizes but recently I've found, that the bigger they are, the easier it is to transport all of my stuff. Also, this Spring/ Summer, try ones that have extra embellishments like fringe or beads. Get ready for the beach babes because straw bags are still going strong! 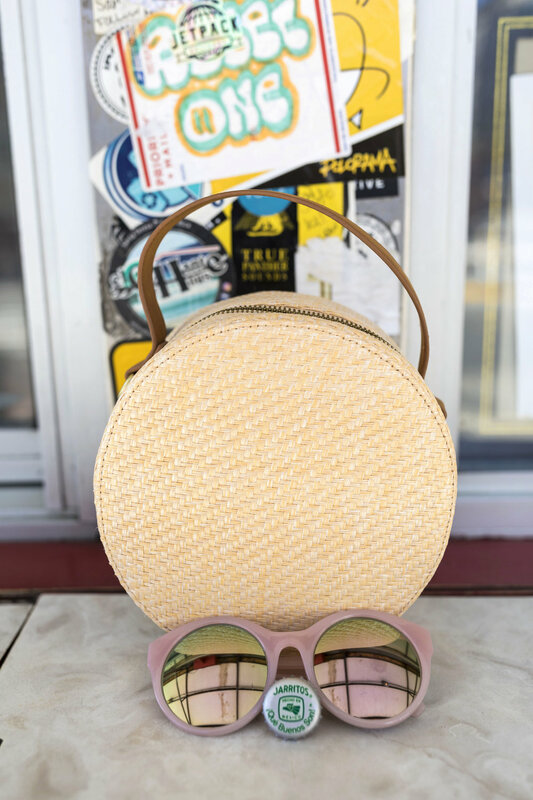 There is nothing has says "summer" more than a straw bag. Why dive into this trend? The straw bags are super lightweight making it easier to carry heavier items in the summer like your water bottle. Straw bags also come in a nice light neutral color. This makes it easy to match all of your summer clothing. Last but not least, straw bags are perfect to carry on a regular day and you can take it to the beach. Super versatile for spring and summer. The delicate colors are a nice twist for spring and summer seasons. If you aren't into bright colors, that is completely fine. Try something a little more subtle like a pretty pastel. The softer pastel palette doesn't scream "look at me" but it politely says "look at me sitting so pretty". 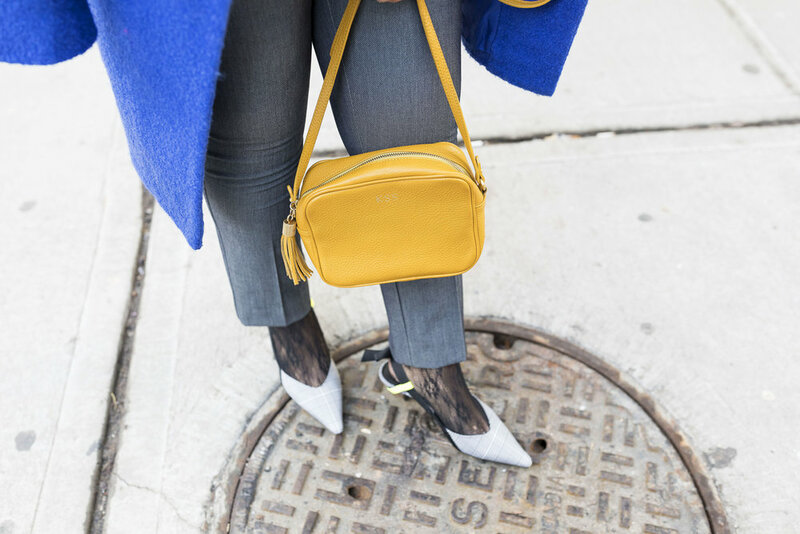 Whether you try out a mini bag, cross body, or a square doctor shaped bag, pastels are a pretty addition to any outfit. Pastel bags are also a good color palette to look into when searching for a party piece. Pastel colors look great in sequins and sparkle like no other. Simple, minimal, and elegant. This style is a clean look for spring and summer. Metal is the trendy factor here so look out for a piece where the handle is a nice piece. Search for round metal handles, cool zippers, or metal closures. I prefer a sturdy metal but that is still slightly lightweight so it doesn't get too heavy when you carry everything. A classic piece with a cool twist. Leave it to Zara to make this fun dress. Spring marks the beginning of dress wearing season as well as trench coat season. This is one of my favorites times of year to shop- everything starts feeling lighter and gets me so happy to see color back in stores again. Living in a cold city, I’m desperately waiting for warmer weather. A must have piece for spring are trench coats. It's a classic staple that goes with everything (literally everything) plus it keeps you warm and dry. There are so many different kinds of trench coats out there these days but a classic khaki colored is still my favorite! However, a darker color like army green, navy, and even black are classic colors that will match every outfit. I also like printed trench coats because they give you a happy spring vibe to your look. Make sure the fabric quality is good. You want to make sure they will actually repel water instead of soaking it in. Purchase one that is either slightly heavier or one with layers. This will allow you to be able to wear lighter weight clothing underneath but still work as a jacket for warmth. Pink out the correct length. My personal favorite are the ones on the longer side and hit right above the knee. 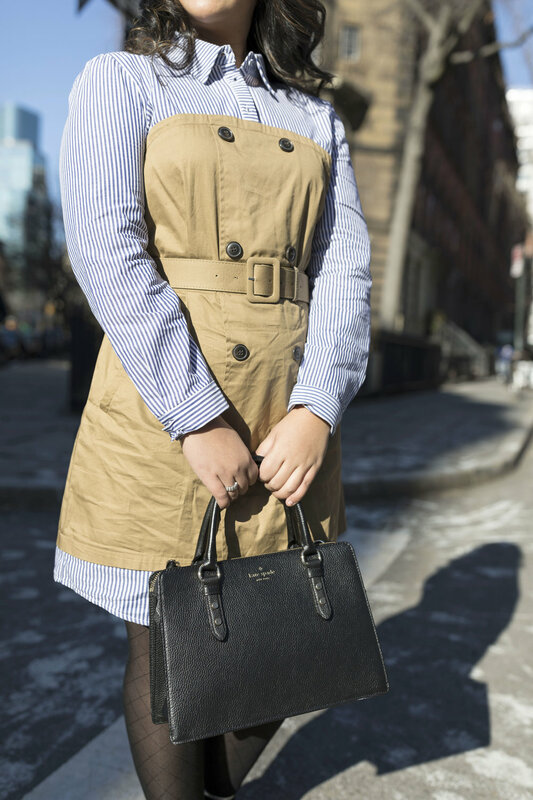 As a petite woman, make sure you don’t wear a trench coat that passes below the knee, otherwise it will make you look quite short. The trench coats that hit at the hits are also great options. It covers just enough leaving you room to show off your cute bottoms. Hardware is key! Look to see how the zipper, buttons, and belt hardware looks in stores. You want to make sure you like the color and that it is not tarnishing too much. Shop some of my favorites below! One of springs hottest print are polka dots! I know this is a classic print that has always been around but it’s trending right now. You'll see polka dots everywhere this Spring/ Summer season. The polka dot print will come in every piece of clothing from jeans, skirts, blouses, bags, and even jewelry. 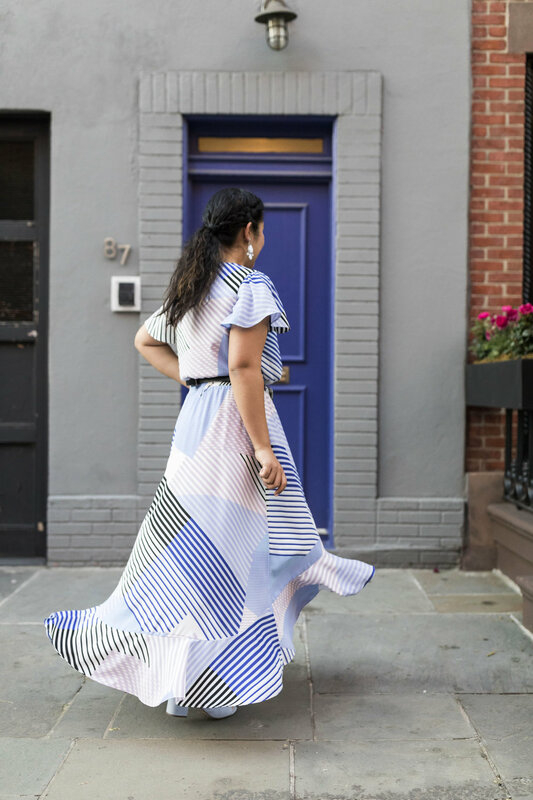 It is a classic pattern but today there are so many ways to style it. 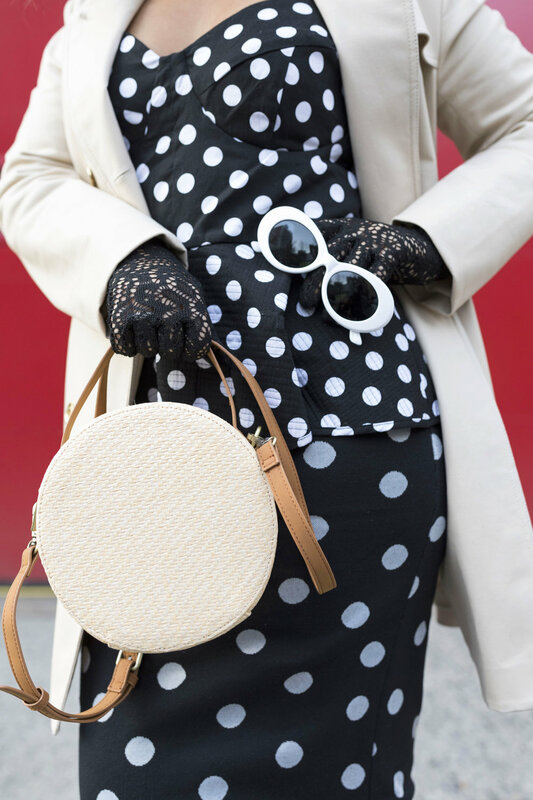 Whether it’s casually paired with a pair of jeans or with a feminine with a pencil skirt, polka dots are a must this year! 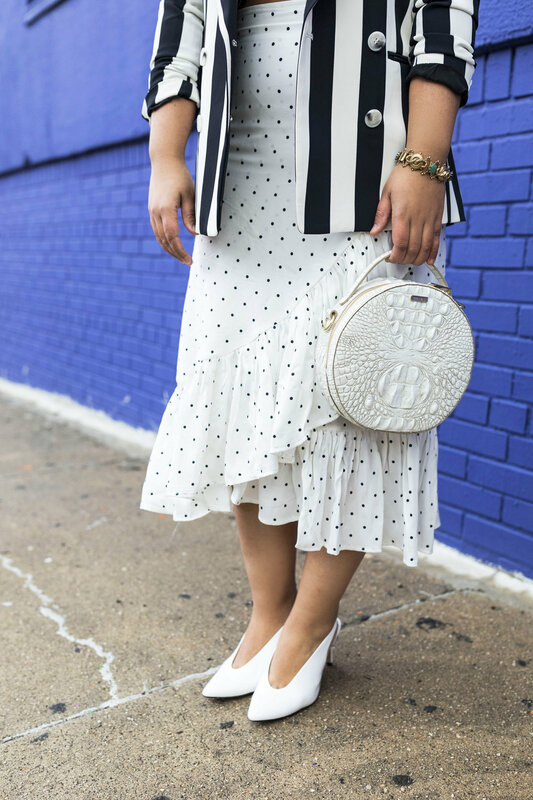 This polka dot bustier top is one of my favorite spring purchases! It's the perfect top for any frame. It highlights the waist giving it the illusion of nice curves and the sweetheart neckline flatters the chest and collar bone. I also love the modern touch of the shoulder detail. This blouse makes a statements through its silhouette and pattern. I wanted to balance the outfit by pairing this voluminous top with a slimming bottom. A pencil skirt always looks good with any peplum top. It slims the figure while being very lady like. Try a polka dotted skirt or go for a solid color. This top will also look great with slim fit or boot cut pants. To keep yourself warm or dry, throw on a spring necessity the trench coat. I styled this top in a retro way by pairing it with lace gloves and white framed sunglasses. For the other accessories, I continued the polka dot print in my earrings and continued the round shape in my bag. 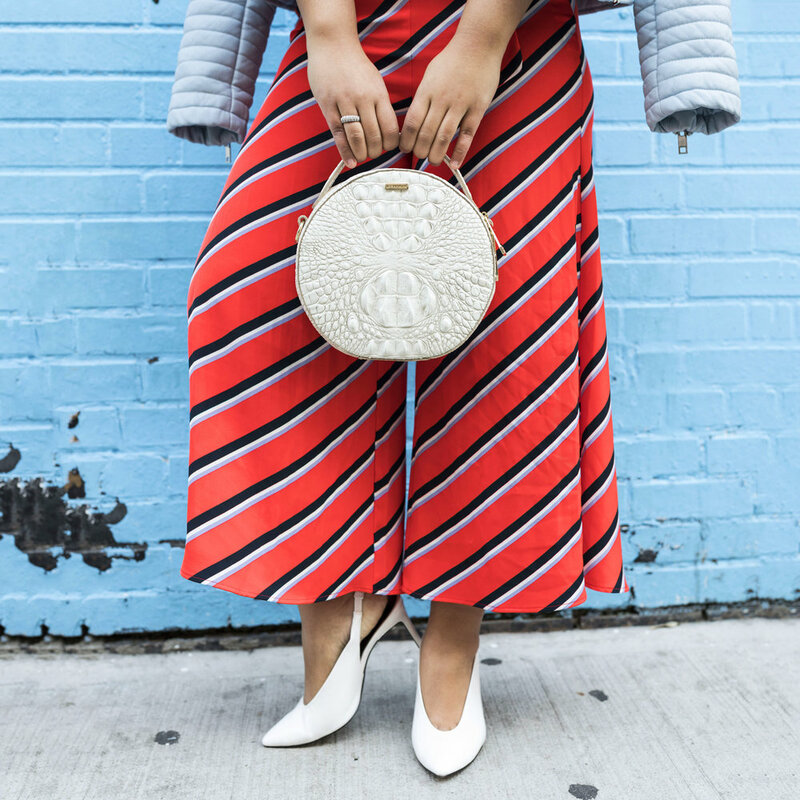 The straw bag is another trendy piece to purchase this spring. Best part is, you don’t have to spend too much. The little touches make a difference in completing the look. Shop my polka dot favorites and finishing touches below!